Being a parent is a lifelong commitment that does not end once a child reaches the age of 18. But, the obligation to financially support a child does stop when a child becomes a legal adult. Prior to this time, parents are expected and required to provide for the child’s needs, which is a fairly seamless process if the parents are married or live together. Complications arise when parents separate or divorce, and determining which parent will pay child support becomes an issue. A single parent trying to raise a child without any financial contribution from the other parent faces a daunting situation, which is why the state puts a significant amount of resources into enforcing child support orders. 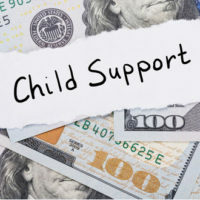 It is not in government’s interest to have single parents struggling to make ends meets, and to alleviate this possibility a number of enforcement methods exist to compel parents to pay court-ordered child support. One of the more controversial methods of enforcing child support is to suspend the driver’s license of parents delinquent on payments. Opponents of this practice argue it makes that life much more difficult for parents already behind on child payments. A state lawmaker recently introduced legislation that would allow delinquent parents to avoid suspension in certain situations. A discussion of the proposed legal changes, and other available methods to enforce child support obligations, will follow below. demonstrate he/she is receiving unemployment or is on disability or other public assistance. The proposed legislation would allow delinquent parents to contest the license suspension on the grounds that circumstances beyond their control, such as temporary involuntary unemployment or serious illness, are preventing them from paying. asking a court to hold the parent in contempt, which subjects him/her to fines and/or jail time if a payment is not made. However, like most state agencies, the DOR is overwhelmed with enforcement requests, and is unlikely to process a delinquency matter efficiently. Instead, a parent can contact a lawyer to file petitions with the court to impose the same types of penalties used by the DOR to compel payment, which will bring the needed money in a much shorter timeframe. Child support is not optional once ordered, and is an integral part of raising a child. If you having difficulty getting the child support you need to maintain your family, talk to a family law attorney about your options. 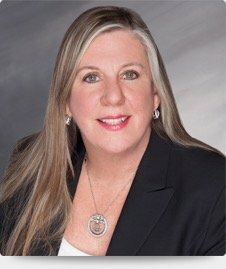 Fort Lauderdale family law attorney Joyce A. Julian, P.A. understands how sensitive these matters are, and is available to help you protect your family. Contact the office for a free consultation.